SHELTER is going to exhibit temporary clearspan tent structures at the 125th Canton Fair (China Import and Export Fair 2019) during Phase 1 – Phase 3 from 15th, Apr to 5th, May. We are the leading modular tent structure manufacturer mainly offering 5-50m geodesic domes for glamping hotel, projection cinema and events. Contact with admin@shelter-structures.com or whatsapp +86-139-2885-8552 if you want to visit us. A new fulldome show was just added to FDDB, check it out: 10 Steps through the Sky – Part one: Astronomy by Fulldome Film Society Information, trailer and full length version available. A new full length preview has just been added to the Fulldome Database, check it out: Chasing the Ghost Particle: From the South Pole to Edge of the Universe by Daniel M. Soref Planetarium Info, trailer & full preview available. 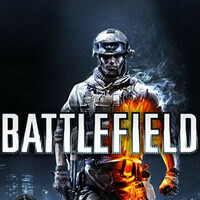 Ultimate Battlefield 3 Simulator? Well, not yet!